How often have you walked into a friend's kitchen, and casually, as you were talking, and your friend's brewing a nice cup of tea for you, you've remarked about something on their fridge, that led to a whole new conversation? Fridges do reflect a lot about the person who is using it. I have come across fridges that are so darn neat without a single thing on them, that you wonder if they have been used at all. Then there are others that have lovely magnets collected from different parts of the world. Then there are fridges like mine that just reflect whatever is going in life, at that point in time, or sometimes reflect anything that brings back happy memories. I clicked a picture of my fridge and this is how it looks at the moment. It's full of memories and current happenings. Right on top are two magnets of a man and a lady that we picked up when we went on our honeymoon, ages back. They have travelled with us through the years and through moving towns, changing jobs, changing homes, becoming parents and continue to be witness to our lives. There are two photos--One is a picture of me and my son when he was a baby.The other is a picture of my brother and my son clinging to his feet. :-)It brings back smiles. Then there are phone numbers of my son's friends. There is a drawing that my son made. There is a list of chores for the household help.There is a daily menu for my children's lunches which the school has specified. (I like it as it means each child will bring the same thing and no junk food is allowed. ) There are two more magnets picked up during travel. Now I'd love to see what is on your fridges. I am tagging the following to post a pic of their fridge. Anybody else who wants to do it I'd love to come and have a look! Just post a pic and leave a comment in my comment box. Do it! It's a snap-shot in time.Frozen moments that tell a story. your post made me do it! Fridges do reflect a lot about the person who is using it. Isn't it true with say the kitchen and the rest of the house? Back home,the fridge is all clean clean,some how I am not a fan of these magnets and stickers. Isn't it true with say the kitchen and the rest of the house aswell? Lovely! My parents and I love to collect fridge magnet as souvenirs. That is my lil nephew in the photo frame fridge magnet. I dont believe it....I've been wanting to do this same post for some time now:-o. That man & lady...did u by any chance pick it up from corsock(I think the spelling is right) where they donate the money generated by the sales to destitute women....I've picked so many of them from all my trips to kodaikanal & they are still there on my mom's frodge. ok I've got magnets ofcourse, lots of them mostly fruits & flowers & a magnet where I've removed the picture inside & put a pic of the kids, then I have a card made by Naina for Mother's Day, a medical prescription with dosages elaborately written by me & post-its with groceries needed for the next day. errr...I meant my mother's fridge:-P.
My fridge is as disorganized as me..
On the outside are 3 magnets(a smiley,a star and a bus which is a gift from my hubby's friend who is from Philippines )2 notices from my son's teacher(about some upcoming events in his class),1 family foto(4x6),2 wallet sized fotos of my son n a pocket sized calender..! !On top of the fridge is my music system..(I listen to music while cooking),2 boxes of cereal,and a book named 'Mother to Son'(a gift from one of my close friends). Divya: wow--I didn't know your hubby played cricket professionally.Just checked out your pic.Awesome collection! Suma: Yeah! :)And waiting to see your fridge. We got three magnest on our fridge - building up a collection, and one of the magnets says 'Housework never killed anybody but why try?" Reflections: Hey! Even i picked up those magnets (man and woman) from kodaikanal! !Don't remember if its Corsock (don't remember the name either) --maybe it is.What a coincidence! Do post a pic of your fridge--would like to see it. Varun: You do jump to conclusions! !The wall next to the fridge has pictures of both my son and daughter.The photo frame which held these two snaps (which are on the fridge) fell down and broke recently--thats why bare photos are just stuck in there--till they find a home :) Else I never had anybody's photos on the fridge. I checked out your pic--was just wondering how does your mom keep that hanging thing clean--it must be an effort! :P (Practical moi)Nice snap--thanks for sharing! Prats:That lunch list is so useful i tell you--It does make my life easier.I'll scn it and mail it to you.In fact some of my friends wanted it and I did the same.Would love to see yours. Monika:Wow--a clean fridge? !U must be one of the few women who don't have anything on the fridge.Usually its men who have a clean fridge. xh:Oh yes! !I do remember the Ayyappa and Krishna magnets now! !They're still available in those shops around the temple in Guruvayoor and Chottanikara. My uncle too used to have it on their fridge. Yes--memories!! You are always welcome! It was actually fun! My mom dusts that hanging thing every single day. I have to salute her patience. Thanks for the tag...I will have to fit a wide angle lens...lol! !! lunch is specified by the school?! :-O Now that is something new! ANd.. my fridge right now is totally empty and clean. Boring. Am going to fill it. Just another reason for my bro to call me crazy. Nice one. Fridge is one place where you can always leave reminders or notes for each other if you have different office timmings. Any decoration pieces, well if the children let it be. I have seen so many types of Album and scarpbooks,first time seeing a SCALOFRI. Wondering!! what is it?? Answer at the end of my comment. This brings a funny incident. Couple of years back when one of the royals died here, the local newspaper released his poster.My daughter pasted that on our fridge.It was there for weeks and months. After sometime I asked my wife....is she mourning his death for so long.....or looking at his charming picture!! Then only she removed it. Few magnets are there on our fridge of course. coz i believe i neat kitchen is a sign that nothings happening. First time to your blog. Stumbled on it from another friend's blogroll. Loved your post. Might end up taking the tag from you :) Your book sounds interesting. a simple subject and a lovely post. can u share the menu for children's lunch box please. Rm: Thanks! 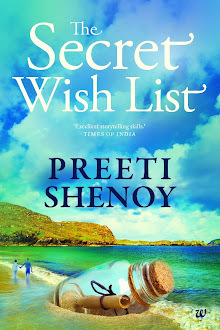 Left a comment on your post..Do mail me on ps@preetisatish.com and i'll send u a scan. 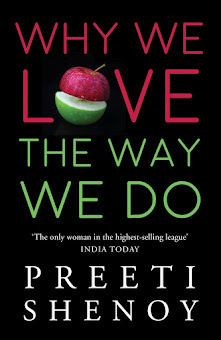 Preethi:Wow! Nice!! When my kids were small i used to have magnetic alphabets too :) But not Fischer Price. Shruti: :-)Whatchya gonna fill it with? Enigma : :-) Yeah--magnets are not for playing with. Just call me A: Nice!! I love travel memorabilia too. My fridge has these souvenir magnets and my daughter's canteen menu!! Posted a pic of my fridge :) Check it out! 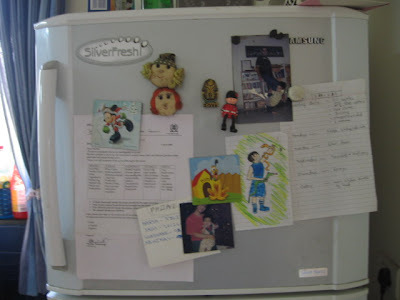 we used to have a jughead,archie(faces) and casper,the friendly ghost on our fridge long before I even jnew who archie n jughead were!! when I went home this time,I found 2 of these magnets still there, gosh!they must have lasted thru all those changed fridges n sneaking hands pulling out cold water and choclates! !may ne around 20 years!! u come up with variety of topics for ur bloglets!!!!! good brain storming! Swathy:I'd love to have jughead and Archie on my fridge!! Me me me me Preeti!! I want to play this tag. I LOVE my fridge magnets; cherish them. I hope you have an amazing day with loved ones! Wishing you the best for the year! Gr8 blog,ma'am...A refreshing change from the ones that I usually read! hey..nice one... now i wonder why hav i left my fridge clean? time to do my tag! suma tagged me to do this! kinda fun! loved a sneak peek of yours!